Science Foo Camp, also known as “Sci Foo”, is a series of interdisciplinary scientific camps organized by O’Reilly Media (FOO stands for “Friends of O’Reilly”), Digital Science, Nature Publishing Group and Google Inc., by invitation only. 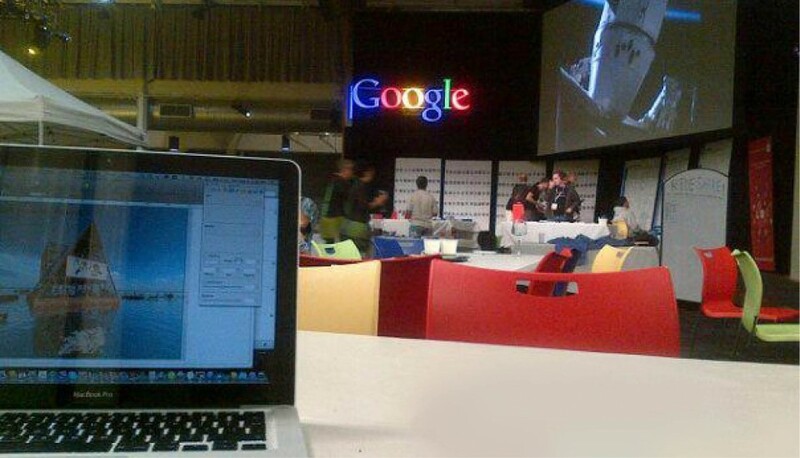 Each year, the event brings together between 200 and 300 leading scientists, technologists, writers and other thought-leaders at the Googleplex (Mountain View, CA) for a weekend of unbridled discussion, demonstration and debate. In August 2012, Kunlé Adeyemi was invited and participated in Sci Foo. The interaction revealed incredible insights on critical global developments and thoughts. Adeyemi shared the challenges and opportunities of climate change adaptation in African coastal cities, and the early developments of the pilot project – ‘Makoko Floating School’ in Lagos, Nigeria.